Great track! That drop is really good. https://www.youtube.com/watch?v=LVPNXsc4wsQ<;br><br>I do agree that the drop is pretty cool, but this is still a considerable distance behind "Runaway (U & I)". Het is weer peanut butter jelly time maar deze keer wel met leuke muziek. ▒ Opnieuw een goed nummer van het debuutalbum: "Pharmacy", door het Zweedse electro-duo: "Galantis" !!! Het dansnummerke uit begin april 2015 is de opvolger van de hit: "Runaway" en "Gold Dust" ☺!!! Um Längen besser als U&I. klingt ganz cool und erinnert mich so ein wenig an Daft Punk. Persoonlijk vind ik dit nummer toch wel wat minder dan de vorige 2 singles, maar het is verder wel goed te doen. 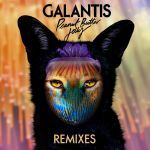 Leuke zomerse plaat van Galantis. Zelfs die stadiontoeter kan ik hebben met dit weer. Much stupider than Runaway but also far less annoying (except for those repetitions of "money" which are horrendous). Even the drop, while boring, is at least not offensive and at times during what I call the verses this is actually enjoyable and I hate myself for it. Would still love for this "artist" to kindly disappear though. Ik vind jam lekker, maar niet samen met pindakaas. Indeed, this follow up is even more silly and ridiculous. I think that works counter-intuitively though; this one is more effective. Feels like a memetic song more than everything while also keeping itself somewhat-serious with it's drop. Even more disposable and forgettable then Runaway. 2.9. Also den stilistischen Vergleich mit Daft Punk finde ich gar nicht so schlecht, Ambitionen in diese Richtung sind durchaus zu vernehmen - und das sind dann auch schon die interessantesten Parts des Songs. Ansonsten leider alles sehr chaotisch und "unrund" zusammengeklöppelt, um auch der schnellen Abspack-Kultur zu frönen. Da wiederum sind Daft Punk eine ganz andere Liga. Stimmen verzerrt, gemixt so viel es geht, das mag ich nicht. ...ich bin deiner Meinung Widmann1 - PVCErdnussbutter mag ich sowieso nicht - (hahaaa, abgefahrenes Video da oben - dålig! )...jedem seinen eigenen Spass! ist doch richtig nett und macht vor allem spass! Ça ne ressemble à rien. Bad follow-up to U&I. Disappointment. I find following music charts a very fascinating thing. I mean that's surely pretty obvious, or otherwise I wouldn't spend so much time on such a site! While many out of touch adults* would be happy to make the argument that almost every popular song nowadays sounds the same, I think that's a very unfair and misguided assessment. There will always be trends and copycats in charts consisting of popular music, because like anything popular there'll always be people trying hard to fit in by liking/doing things that are similar. But some rather dire periods aside, there's generally a good amount of tracks that don't follow the common trends. I say this because this track is a very good example of a popular song not fitting the conventions of pop. Say what you will but I personally believe there's not much else like this out there, especially not near the top of the charts. For that reason it has made me very surprised that it has been a hit (and even outpeaking the relatively more conventional than "Runaway (U & I)"), because it does not sound like one at all!<br><br>What really grabbed me on first listen and what still does is how it doesn't sound much like anything I've ever heard before, not even previous single "Runaway (U & I)" and later on as I would find out, not a lot like the rest of the album either. To my surprise and unlike pretty much everyone else I know it grew on me very instantly, absolutely smashing the record for biggest jump to #1 on my chart!<br><br>Perhaps the lack of similarity to anything else is mostly noticeable in the drop. I really love how silly, random and odd the song as a whole is, it makes it a really satisfying listen like few other tracks from the past couple of years. The silly vocals (and things like "VISUALISE IT!" and "SPREAD IT LIKE!") really add to it too. The drop could very well be the best one of 2015 so far, it's absolutely crazy but just so satisfying and awesome. Especially satisfying the second time round especially after that tremendous build up. It's all just so good and still sounds rather fresh even after a lot of listens. Without a doubt not only one of the best chart hits of 2015, but also one of the best of the year so far in general. I have so much love for it <3 <3 <3 <br><br>*and teenagers who try so hard to be edgy and different that their opinions actually sound more generic than most songs on a pop chart could ever be, while simultaneously also being just as much a sheep as the people who only like pop music. Honestly f**k those people and their irritating combination of self-importance and ignorance (among other things). This is actually a whole heap of fun, which is nice to see for a change. I think this is much better than Runaway, although probably because this is more fun and upbeat, as opposed to Runaway which I think takes itself a little too seriously (if that's at all possible - I'm probably just sick of that track fullstop). Typischer Füller jeder "Bravo Hits" oder "Dome" Compilation - nervig! Just compiling my new music playlists for this summer after grabbing a heap of CD compilations from overseas, and only have come across this brilliant Galantis track for the first time. Just hit me right between the eyes first time round and oh F***, didn't know that such great pop could still be made today. Some of you were referring to their first track; "Runaway" which I checked on youtube; (not a bad track), but "Peanut butter jelly" just blows everything out of the water, has that pseudo late 70s disco sound in there if you know what I mean, agree with everything Zacco333 had to say. Tolerable but a big step down from 'Runaway (U & I)'. The disco sound is very obvious, perhaps too much in this case. It's ok but I slightly lean towards wanting this to end rather than listen to it right through. Songs like this remind me that as much as everyone wants to admit that they like what they like, the context in which you hear a song will probably affect your opinion just as much, if not moreso than the competence of the composition & performance. If something like this were presented by a bunch of nobodies, rather than low-key hit machines, you could expect this to quickly become fodder for 'worst song' threads/articles. You can see how easily it's pitched too: pitch-shifted vocals, referencing an internet meme that's way past its use-by date, incongruous sampling of strings just slapped in there because why not at this point? If you first heard the song in that context and never again, you'd probably think it was pretty awful.<br><br>Popularity on the pop charts begats popularity on the pop charts. As soon as something gets amongst it, there's a feeling of acceptance to it. I think a lot of people are under the impression that they know less than everyone else about what makes a song 'good', but seeing a song already appealing to millions is a good way to think that something goes beyond just being a secret guilty pleasure. That's why in most places, this song is either huge, or unheard of.<br><br>For similar reasons, I was kind of in a bit of disbelief that this managed to be a hit. It just seemed *too* indulgent for the GP to get behind. It might still be a bit for me, it's just a slight bit too goofy for me to think of it as anything more than a bit of light fun, so I find myself siding with the more conventional "Runaway (U & I)". But for all that talk of indulgence, this was the first music video of theirs I saw that doesn't have a minute long interview with a seafox...to my disappointment. Sticht heraus und finde ich für die heutige Zeit innovativ. Macht auch Spaß, da schwanke ich gerade zwischen 4* und 5*. Lustig und nett, mehr nicht.